RECENT YEARS HAVE seen the last nails knocked into the coffin of Romanian football. It seems that Gheorghe Hagi’s famous words that Romanian football was a ticking time bomb, waiting to implode on itself, have come true. Let’s go back in time a bit, more precisely to 1998. The Romanian national football team was still one of the top sides in the world at that time, boasting talents the like of Hagi, Popescu, Ilie and Petrescu. The team had qualified for the 1998 World Cup in France by the time the Tricolorii had one last warm-up match before the finals, against Paraguay in Bucharest. Eighteen years after Hagi’s infamous words, the nation is finally realising how accurate he was. Since then, Romania’s national team have not qualified for another World Cup, with the wait showing no signs of ending. This season, no Romanian football club reached the group stages of any European competition, and the only thing that keeps the in any kind of existence is the TV rights deal. So how did Romanian football end up here? What has changed since the days when Ilie Dumitrescu scored twice against Argentina in 1994, since the Balkan nation beat England at two consecutive tournaments, in 1998 and 2000, and since Steaua and Rapid Bucharest played against each other in the quarter-final of the UEFA Cup in 2006? It’s a question many Romanian fans are asking of themselves. The issues can broadly be split into three main categories: corrupt club owners, financial irregularities, and a lack of long-term planning. The titles of books written by present and former football club owners in Romania during time behind bars is both the most ironic and tragic list: The Competition, An Investor’s Guide to Football, Management of Football Clubs, Structures and Organizations, Sportsman’s Personality – A Prerequisite for Success in Sport, and Football For Future Professionals. From the prisons of Jilava and Poarta Albă have come of the most condescending titles in Romanian football literature; advice by men that flouted the rules, broke down the Romanian game, and ended up behind bars. “Gheorghe Hagi is the only one that invests white money in Romanian football.” These blunt words recently came from Ioan Becali, a former football agent who is now behind bars after being found guilty of tax evasion. His theory suggests that the domestic game is rife with corruption and mismanagement, something he contributed to himself. At the beginning of the 2000s, the biggest Romanian clubs reached deep into the pockets of notoriously unpopular figures at the time – they were in dire financial straits in most cases – individuals who were very rich but whose interests didn’t include the well-being of the national game. Skeptical fans at the time suggested that these individuals were looking to benefit from increased popularity by donating money in the short-term and failing to looking consider what Romanian football really needed to grow and prosper again. Some of these individuals simply wanted fame, and to benefit from their club’s stature in the country to grow their other businesses. Some of them simply wanted to make profit; but none of them wanted to own a successful and healthy football club, one that could grow both financially and pick up silverware. The case in-point is of Unirea Urziceni. 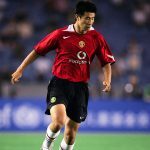 The small club, founded in 1954, won the league in 2009 for the first time and went straight into the Champions League, where they enjoyed a number of impressive, dogged performances. After the money for participation in the competition – largely TV rights revenue – arrived, the team’s owner, Dumitru Bucşaru, withdrew financial support as he had made a sharp profit. Unirea were, as a result, forced to sell most of their top players to cover debts, leading to relegation at the end of the next season. The following summer saw Bucşaru fail to file for a licence for the club to play in Liga I; he decided against any league participation at all for the fallen giants. Unirea Urziceni were subsequently dissolved and, in the space of three years, the club went from a proud 55-year history and European participation to folding and a mass exodus of talent from the domestic league. A similar story befell Oțelul Galați, who won the league in 2011. They subsequently played in the Champions League but were relegated after the club’s owner took all of the revenue from UEFA and left with his pockets lined. Despite many of these club owners spending time behind bars as a result of their blatant corruption, many serve short sentences and are then free to continue their businesses. Some have even attempted to return to Romanian football. The issue of corruption is rife in Romanian’s top-flight, a league well-known for the number of matches that were fixed in the 1990s and early 2000s. The corruption that occurred in the domestic was not a wholly surprising story to the fans, but most were shocked at how well it was hidden in plain sight. The people who led the top-flight formed a type of Cosa Nostra, called Cooperativa. What’s even more bizarre is that nicknames, such as ‘Corleone’, for Dumitru Dragomir, former president of the Professional League of Football, ‘The Lord’, for Jean Padureanu, owner of FC Gloria Bistrița, and ‘The Godfather’, for Mircea Sandu, President of the Romanian Football Federation, were out in plain sight but were never investigated. If ever there was a need to delve deep into the financial and sport irregularities, this was surely it. Meanwhile, during this period, clubs endured some of the darkest days for Romanian teams in the European competition. With the national league being considered by many as one of the weakest in Europe, owners took the decision to deny their teams participation at all, failing to renew licences and driving fans away. In 2003, one of the aforementioned owners at the time, Dumitru Sechelariu, admitted on a TV show that he was strongly involved in fixed matches and also that there was an association of a couple of club owners who did the same, proposing them to stop this practice. Though this was a turning point in the eradication of match fixing, the damage was already done. While some owners are football people with a genuine will to improve the domestic game, sadly many have closed academies, withdrawn financial support, sold off the best talent on the cheap to the first bidder, and instigated an era of corruption and financial irregularity. How can a league function and grow – and more importantly recover – if those in power are the most corrupt? The most pertinent financial analysis in football is undertaken by Deloitte. They split the revenues of a club in three main categories: matchday, broadcasting rights, and commercial sources. If you were to apply these criteria to Romanian football in the 1990s and 2000s, you’d find some of the most poorly managed clubs in Europe. The TV broadcasting plan was worth pittance, the merchandise available for sale was minimal to non-existent, and the stadiums were often empty. With such an unhealthy business model, how did clubs survive during these barren years? The answer is simple: owners treated their clubs like a toy. Each time their team needed money, they pumped funds in the club’s accounts. When they stopped doing this, however, or could no longer afford to, large cracks appeared. This is how historic clubs with large fan bases, such as Rapid Bucharest, were relegated. It is how a club such as FC Vaslui disappeared a few years after playing in the Champions League. It’s also how a club like CFR Cluj, who beat Manchester United at Old Trafford in 2012, can now be suspended by the Romanian Football Federation for not being able to pay its debts after owner Pászkány Árpád left. It’s how clubs such as Dinamo Bucharest, Universitatea Cluj and Oțelul Galați became insolvent. It was the only thing they could do to survive. For Romanian football fans, it’s harrowing to have witnessed the fall from grace from the 1980s and mid-1990s to now. 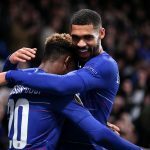 With decrepit, empty stadiums and a lack of talent on show, it’s almost impossible to attract younger fans as the best talent continues to leave the country at the earliest opportunity. The problems are compounded further by club’s having to use the money generated from player sales to simply survive. Signing players for significant sums is almost unheard of in Romania now. In the summer of 2015, with the exception of Steaua Bucharest, only one other club could afford to pay to sign a player. The rest of the clubs signed only free agents. Some comfort came in 2014 with a new broadcasting deal that was introduced based on revenue, allowing clubs to guarantee their survival provided they manage their finances carefully. With the exception of heavyweights Steaua – whose annual budget is around €15 million – the other teams depend on the money from TV rights, which cover up to 70 percent of their total budget. League officials and representatives of the clubs estimate that the presence of the TV deal is so important that if the money ceased, only five teams would be able to survive. The plot thickens with the knowledge that most of the teams that could survive are funded by local politicians and town halls, and used as an electoral tool. It’s hard to see how clubs can survive without a real shake-up of the current governance system and owners whose interest is in the long-term state of the Romanian game. Football is today a game directed by money; where you put that money is all-important. It’s easy to turn on the TV, to zap through the sports channels, or to check Romanian football newspapers and websites to realise that the domestic game is drowning at the moment. The greatest challenge for Romanian football is to paint a brighter future. With owners using clubs for short-term gains, the long-term picture is almost impossible to paint. What will the state of Romanian football look like in 20 years? Pessimists will say very much the same; optimists will point to a change on the horizon. Disregarding a few development centres belonging to the Football Federation, Romania does not have even host an academy league anymore. So many talented children that reach 18 are lost in the mire of Romanian football, being forced to seek a contract abroad or to hang up their boots for good. 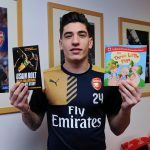 As only a few managers rely and trust young players in Romania – with a culture of needing results immediately ensuring that few youngsters are given a chance – most of the kids have no other option than to leave. Others, more fortunate youngsters, are recruited by the big teams, but become second choice options to foreigners often of questionable value and skill. Sadly, the people who should have helped our clubs progress are in jail for stealing money instead of serving the game. 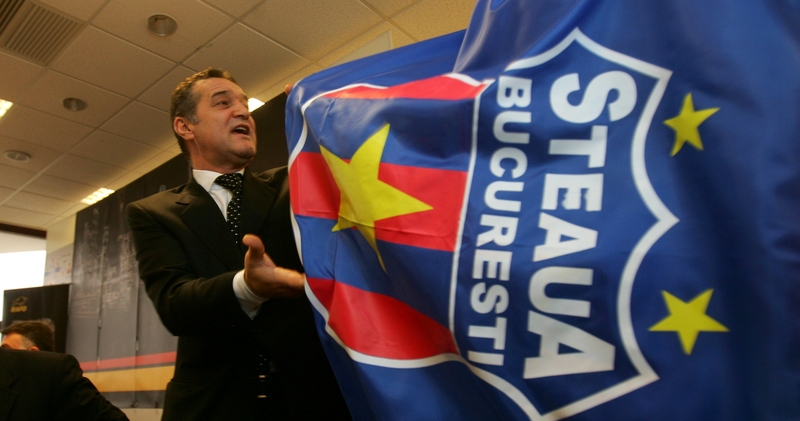 Steaua Bucharest, the most important club in Romania, closed its academy because owner Gigi Becali could not see the value in long-term planning, preferring to sign players who were ready to play immediately. Smaller clubs from the top-flight also prefer to sign out-of-contract foreign players instead of promoting young, local lads. The positive comes from the fact that a couple of independent academies have opened up in Romania in recent years, but they’re simply scratching the surface of the talent that exists across the country. The hard truth is that Romanian players’ best chances are at clubs in Western Europe, who are more likely to pursue with young players. This is why hundreds of under-16 Romanian players are taken on trial at clubs in England, Spain and Italy each year, with agents descending on the country in the hope of finding the jewels that the domestic game continues to ignore. The great risk with this for the national team is that these players will end up moving abroad, knowing all about the troubles of their native Romania, and playing for their adopted nations instead. The small crumbs of comfort that Romania can still produce good players will be lost as their best talents fail to return. Gheorghe Hagi’s words cross my mind once again. Perhaps us football fans in Romania believed that the current problems were simply cyclic, that we once had Nicolae Dobrin and Ilie Balaci, spent some time in the wilderness, before the great teams of Hagi and Popescu came along and restored pride. The problem is, the issues run far deeper today than they ever had before. Watch a Liga 1 match and you’ll realise that Romanian football has few, if any, standout players. Romania, a country that used to be a beacon of football in the region, no longer produces top players. Even more tragically, the memories of Steaua in 1986 seem like a fairytale, a dream we all conceived to hide the blemishes of the game today. It’s probably too simplistic to say that Romania is suffering today because of the likes of Mircea Sandu, Dumitru Dragomir, the Becali family and others. The reality is, however, that the issues are all linked, from long-term planning to financial mismanagement and the dissolution of academies. Change will only come when measures are implemented to attempt to change the Romanian game in 20 years, not two. Let’s hope he was wrong after all.